PROPHETIC SIGNIFICANCE: Nebuchadnezzar's vision in Daniel 2 is a prophecy about a series of world empires under Satan's control leading to a final evil coalition of nations. Throughout history there have been many secret societies that have controlled wealth and power from behind the scenes, to promote an ultimate One-World Government. Some people refer to this power behind the scenes as the Invisible Government. The implication that there is a conspiracy to produce a universal government is accepted by many prophecy scholars, but rejected by others. There is no doubt that there will be a One-World Government, but there are differing views on the processes that lead to it. Some have called this an "open conspiracy," meaning one that is not totally hidden, but is more of a one-world agenda by the rich and powerful. This elite group publishes their ideas, but the public is never made aware of their ultimate plans. 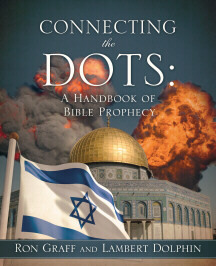 Additional information is given in our book, "Connecting the Dots: A Handbook of Bible Prophecy. Read Chapter 5 - "Satan's Final Empire: Global Governance and Religion." Outstanding source of information about Biblical prophecy of The New World Order.